17 or so years ago, I started this band. For awhile it was me, alone. Alison, who would later become my wife and mother of my children, helped because I asked her to - and really because I didn't want to be alone in the credits - but it was never her great desire to be in a band. Prydwyn came along by the second album. My friend. My True Brother. He taught me how to sing. Flutes. Whistles. Strings. More. He made the music better. Sarada came next. My friend. A voice of pure silver. My True Sister. She made the music better. We made music this way for many years. Prydwyn's wife, Kira, would eventually bless us with her wondrous strange harmonies. She made the music better. Then came Don - for my money, the best guitarist in the genre and he knows next to nothing ABOUT the genre. He is a musician through and through. He made the music better. Don brought Brooke - the youngest of all of us - who started out with incredible raw talent but continues to refine it at a pace that is shocking and just amazing to watch. She made the music better. These, all of them, my friends and family. 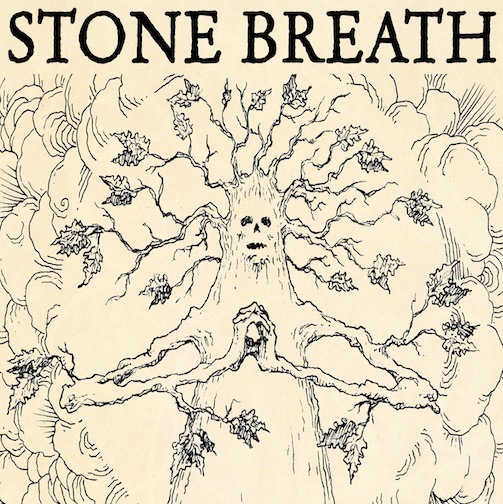 I couldn't imagine doing Stone Breath with hired hands or people I didn't connect with on some deep level. I asked Carin next. 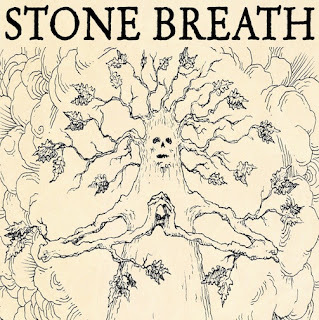 Stone Breath had toured with her old band, Iditarod, and we fell in love with her voice. I don't think there is anything like it - and I mean that in the best possible way. I was honored when she said she would sing on Stone Breath albums. I expected to love it, but I never expected our voices to work so well together. She made the music better. ...and then there is "The Snow-White Ghost-White Stag." In my youth, there was a albino buck that wandered my rural neighborhood. Many of the kids hunted, and all of those that did hunt, wanted this white buck. To my knowledge, none of them ever killed it. I wrote the song specifically for Carin to sing. When we were asked to play in State College - it is near Carin's home - I asked her immediately if she would sing with us. The practicing "live" band these days is Don, Brooke and myself. Everyone else just lives too far away. So, we knew any songs Carin sang with us would be without practice - but we also knew we wanted to do "The Snow-White Ghost-White Stag." What you hear on the live recording is a testament to Carin's talent - it's her song now. I just wrote it. 17 years and many many blessings. Our first live album in all that time is available now from Deep Water Acres.